Las Vegas is a travel destination where visitors can spend a lot of money on fancy rooms and luxurious amenities, but there are also great deals on hotel rooms for budget-conscious travelers. There's no reason to overspend on a hotel room when you're likely going to spend most of your time exploring the casinos, experiencing the attractions and watching the shows. Getting a cheap hotel room in Las Vegas is easier than you might think. Most of the hotel room rates and rate ranges described below were taken from the Google Hotel Finder tool, plus comparison shopping sites like Expedia. The room rate can vary considerably, so be sure to shop around for the best going price for your dates of travel. 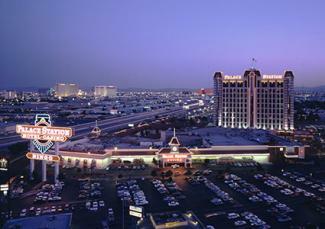 The Strip is easily the most popular place to stay when visiting Las Vegas. There are lavish resorts and hotels like the Bellagio that will never be considered cheap, but there are definitely great bargains to be enjoyed that are still in the most convenient of Las Vegas locations. LINQ Hotel and Casino: Previously known as The Quad, the resort underwent significant renovations in 2014. It is owned and operated by Caesar's Entertainment. One of the best appeals of this resort is its highly central location, right across the street from Caesar's Palace and the Mirage. Its ease of access to the Las Vegas Monorail is also a huge plus. Amenities include an outdoor pool, Asian style decor, and free parking. Nightly rates can get as low as $37 during the low season. Circus Circus: One of the most family friendly hotels on the Strip, Circus Circus has a circus-based theme throughout. In addition to the hotel and the casino, the resort also contains a theme park and midway, plus free circus shows. Free Wi-Fi, free parking and an outdoor pool are also included with hotel stays. 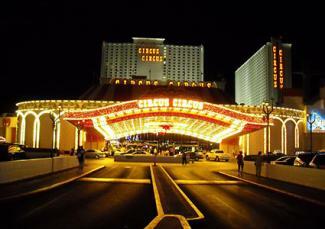 Circus Circus is located toward the north end of the Strip and rates are typically in the $30-60 range per night. Excalibur Hotel Casino: Located near Tropicana Avenue by New York New York and MGM Grand, Excalibur has a medieval theme and it is home to the Tournament of Kings dinner show theater. Amenities include an outdoor swimming pool, fitness facilities, laundry service, free wired Internet access, and free parking. During the slower times of the year, a room can be had for as little as $30 a night. During the busier times of the year, hotel rooms on the Las Vegas Strip can skyrocket in price, so bargains aren't always available there. Some people may also prefer to get away from the noise and clatter of the Strip, while still having easy access to the casinos, shows and other attractions. Staying just off the Strip can be an affordable alternative to consider. Jockey Club: This is not your typical hotel. Instead of having basic hotel rooms, Jockey Club offers one or more bedroom suites for families of all sizes, providing an experience that is more akin to home away from home. Pricing is usually in the $100 range per night, but the rooms can accommodate families and other large groups more comfortably than typical hotel accommodations. It is within walking distance of the Strip. Palace Station: Located just over a mile west of the Strip, Palace Station provides its guests with a shuttle service to McCarran International Airport as well as to and from the Strip. Self parking and valet parking are both complimentary. Wired and wireless Internet access are available for an additional charge. Normal nightly rates are around $90, but rates can get as low as $35 during slower times. The Orleans Hotel & Casino: Also located west of the Las Vegas Strip, The Orleans mirrors the look of the New Orleans French Quarter. Features and amenities include room service, free parking, Internet access, on-site gym and an outdoor pool. 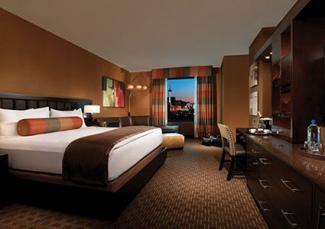 A standard room at The Orleans is usually available for $30 to $70 per night. Considered the older part of Las Vegas, the Downtown area is filled with history, character and the famous Fremont Street Experience. Access to the Strip is a short public bus ride away. 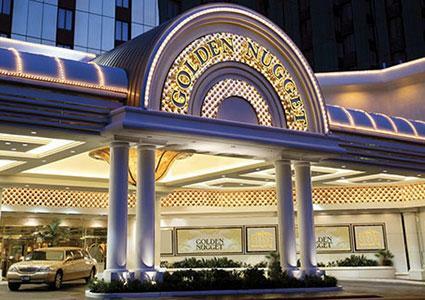 Golden Nugget: Located right in the middle of Fremont Street, the Golden Nugget is a Las Vegas icon where many famous gamblers, players and celebrities have stayed. The rooms are clean and comfortable. Spa and salon services are available on site, as well as retail stores and a video arcade for a different kind of gaming. Nightly rates are in the $70 range. Golden Gate Hotel and Casino: Another older hotel along Fremont Street in Downtown Las Vegas, Golden Gate has its own restaurant, casino, bar, lounge and coffee shop. Local calls and Wi-Fi are included in the price of the room and the in-room televisions include free cable channels. Since the hotel is only three floors, getting to your room can be a lot faster and easier than with many other properties. Standard rooms are normally $20-$50 per night. Super 8 Las Vegas: It may not provide the same kind of Las Vegas experience as far more expensive resorts, but the Super 8 is instantly familiar and comfortable. The location near Downtown is among the most affordable in town, but there is also another location closer to the Strip as well. Free parking and free Wi-Fi are included in the nightly rate, which can get as low as $29. These are only a few of the many affordable hotel options available. With a little research, you can save a great deal of money on rooms in Las Vegas. Be sure to visit the hotel websites for special discounts and deals, as special offers change frequently. It can be worthwhile to combine airline tickets with hotel rooms as travel packages too, as the combination can be cheaper than what you would pay separately. Frequent flyer miles, hotel loyalty programs and other clubs may also provide free or discounted rooms. Weekends vs. weekdays: Hotel rooms are always more expensive on the weekends than weekdays. The cheapest days are usually Sunday through Wednesday. Time of year: Despite the desert heat, summers are very busy in Vegas. Holidays can draw big crowds too, like Christmas, New Year's, and Thanksgiving. The busier the hotels, the fewer discounts they'll typically offer. The cheapest times are usually in the spring (March to May) and fall (September and October). Special events: Be aware of any major events, like conventions, that can affect the pricing of hotels. The Consumer Electronics Show brings in over 100,000 people in January and can lead to more expensive rooms. Check with the Las Vegas Convention and Visitor's Bureau for a list of conventions and plan accordingly. Location: In general, hotels that are not located on the Strip are usually the least expensive. Some of these have good casinos and great deals, but they may be less convenient. To save more money, consider staying in a nearby town like Primm or Boulder City. 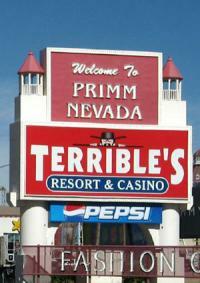 These towns have casinos and are just a short distance from Las Vegas. What's more, you might save enough on the room to afford a rental car. As with any vacation, planning ahead for your Las Vegas trip is the best way to get the best deals. While there are always last minute deals to consider, planning ahead allows you to comparison shop for better hotels at better prices, sometimes getting free show tickets or free buffet meals as part of a promotion. Sometimes, the key is finding the balance between going as cheap as possible and extracting the greatest value. That's how you can come out a winner in Sin City.